I hope you enjoyed the Châteauneuf du Pape wine review and food pairings. That story has prompted me to delve a little deeper into my love of all things French. 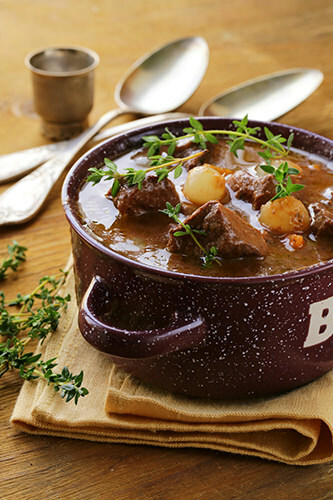 It’s beginning to warm up in Australia now, but I wanted to give you a taste of France that would match perfectly with Châteauneuf du Pape, the dish is Boeuf a la Bourguignonne, better know in as Beef Bourguignon. First I have a little personal story about the origins of this recipe for me. Wind the clock back 29 years… Imagine me as a school girl in my French language classes. I am sixteen years old and very studious. By this stage in high school I had been taking French language classes for four years and I was smitten. I did most of the cooking at home so the family were subjected to French dishes every second day. I would start with a Soupe à l’oignon, avec fromage croutons and then serve either Coq au Vin, or the king of fresh casseroles being the Beef Bourguignon. 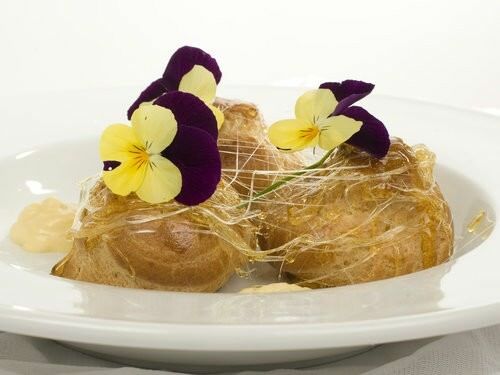 I was very proficient making choux pastry and the meal would end with Profiteroles. You might wonder where a girl of sixteen obtains French recipes in the 1980’s. Remembering this is before the age of the internet and google. Do you know, my kids actually find it hard to believe there was ever a time before the “World Wide Web”! Well like I said, I was a very studious girl. The school I attended gave book prizes each year to the high achieving students aka “nerdy me.” By the time I left high school I had amassed a library of cookbooks that would make any chef proud. Happily they were all inscribed, when I pick up the cookbooks, inside the front cover it tells me the year and the subject the prize was given. The Around the World Cookbook by Marshall Cavendish (sadly no longer in print) was one of my favourites. I still use it today as it has so many brilliant recipes from all over the world. Happily it also contains my 5 favourite French recipes with my notes and variations on the dish. It’s nice to look at the perfectly tidy writing of my 16 year old self in the book, especially given that everything I write now is a barely legible scrawl! Place the steak in the marinade ingredients and leave for at least 3 hours. Heat the oil and fry off the bacon, sliced onion, garlic and carrot. Drain the meat from the marinade but reserve the liquid for later use. Add the salt, pepper and flour to a plastic bag and combined to form a seasoned flour, reserve for later. Dry the meat then fry it off in a little more oil. Remove the meat from the heat and allow to cool slightly. Dredge the meat in the flour by adding it to the plastic bag and coating it. Return the dredged beef to a hot frying pan and briefly cook of the flour with a little more oil. Add the reserved marinade mixture and brandy to the meat. Stir the mixture ensuring you scrape up anything stuck from the bottom of the pan. Allow this to boil and thicken slightly then remove from the heat. Choose either a slow cooker or large oven safe casserole dish. Remove the meat from the frying pan and add it to the casserole dish. Add the reserved bacon, onion, garlic and carrot mixture. Top the casserole with the beef stock and bouquet garni. Place a lid or aluminium foil on the dish and transfer to the oven or slow cooker. Cook in the oven for 2 1/2 hours on 160 degrees Celsius. If using a slow cooker cook for approximately 6-7 hours. Melt the butter in a frying pan, add the pickling onions, fresh thyme and button mushrooms. Fry the mushroom mixture for 2-3 minutes then add the wine and brown sugar. Stir until the sugar dissolves. Add the mushroom mixture to the casserole and continue cooking for another 30 minutes. Discard the Bouquet garni prior to serving. Add any extra salt of pepper to taste. 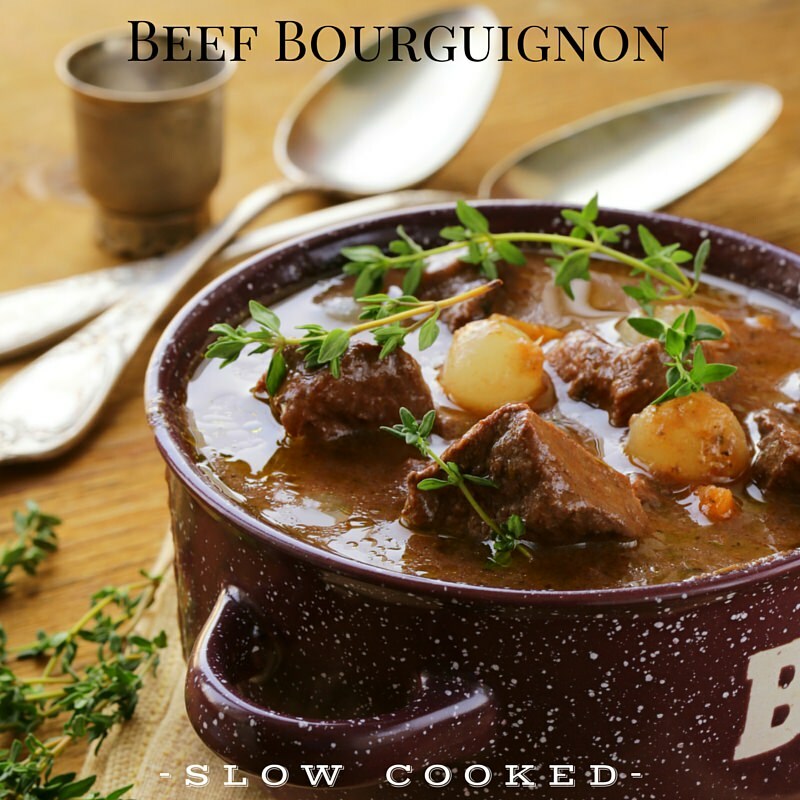 If you require a thicker Beef Bourguignon add 1 Tbs or cornflour to 1/4 cup of water and stir through the casserole whilst its in the last ten minutes of cooking. Oh, and I peeked inside the front cover. This book was award to me by Sawtell RSL for an ANZAC Day writing prize in 1986. It’s signed by LJ Walters the Secretary, I still remember the article I wrote and it still brings a smile to my face. I can’t help but hope the internet doesn’t completely replace books. It’s so funny to think that 29 years on and I am still writing, still cooking, and still travelling the world. My daughter has inherited the travel bug and my love of all things French. She is 8 now, when she was 6 she made me promise to take her to France for her 10th birthday. I am so pleased she gave me four year warning. Naturally I promised her we would be in France for her 10th birthday, the 3rd May 2017. After all, what a gorgeous reason to go back to France. 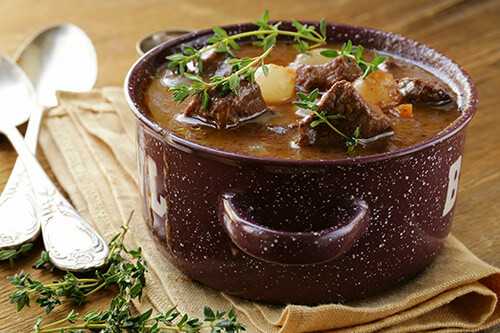 I hope you enjoy the Beef Bourguignon, stay warm if you are in a country coming into winter. Perhaps pin this one for later if it’s looking sunny in your part of the world at the moment.